A touch screen kiosk for integrated assessment of a person’s wellness indicators with the opportunity to develop detailed recommendations for an individual diet and fitness program. A portable multi frequency segmental body composition 3D analyzer with digital pulse oximeter. 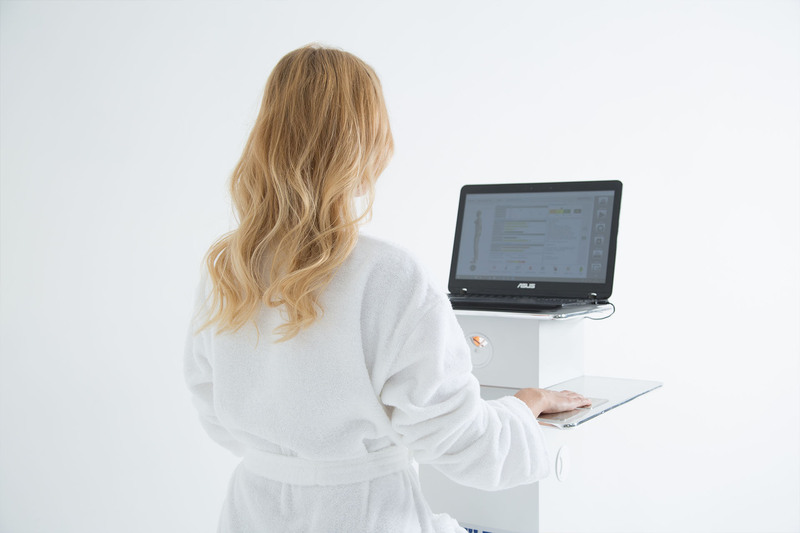 The device provides segmental body composition assessment in tetrapolar mode and records digital pulse wave for stress/fatigue and cardio assessment. A noninvasive system for functional body state assessment, a unique combination of medical applications for obtaining a quick overview of the most important regulatory mechanisms of the human body.